They were rivals at the highest levels of hockey. Then they got married. In two consecutive Winter Olympics and multiple World Championships, Meghan Duggan and Gillian Apps were a part of a fierce rivalry on the ice, suiting up for Team USA and Team Canada, respectively. 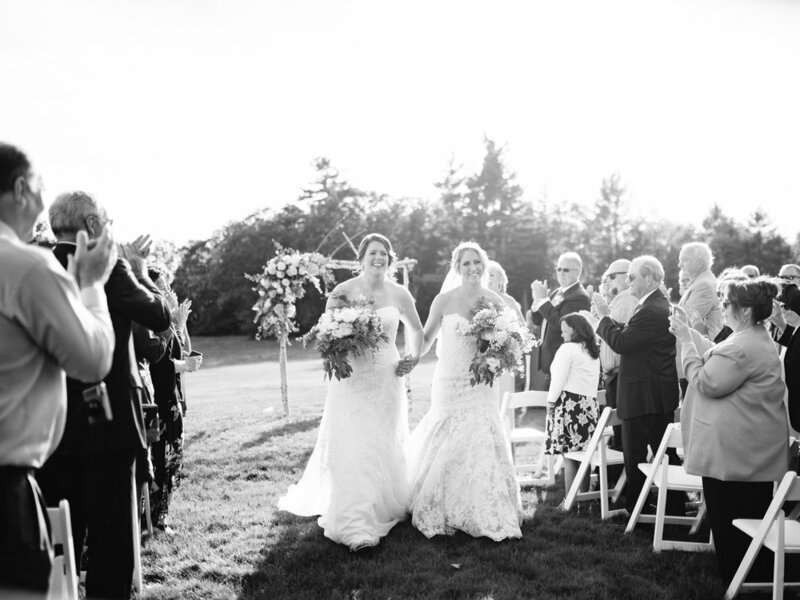 Now, Duggan, captain for the US women’s hockey team at the 2018 PyeongChang Winter Games in South Korea, and Apps, a three-time gold medalist for the Canada women’s hockey team who retired in 2015, are on the same side: The pair married over the weekend in Pownal, Maine. Duggan, 31, and Apps, 34, both forwards and three-time Olympians, faced off at the 2010 and 2014 Winter Games, with Apps’s squad getting the better of Duggan’s side. Apps also won gold in 2006 in Turin, Italy. Duggan finally got her Olympic gold earlier this year when the Americans defeated the Canadians in PyeongChang. The US had lost the previous four Olympic gold medal games to Canada. Apps, who played for Dartmouth College from 2002 to 2007, served as an assistant coach for the Boston College women’s hockey during the 2016-17 season while Duggan played for the NWHL’s Boston Pride. Apps left her position at BC to enroll at Dartmouth’s Tuck School of Business. A few of Duggan’s Team USA teammates were bridesmaids in the ceremony, including forward Brianna Decker, defender Kacey Bellamy, and forward Erika Lawler. View the full story here and here.